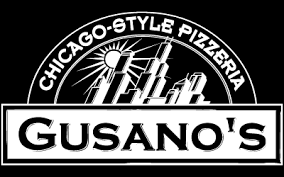 Recently opened on Phoenix Avenue, Gusano’s features large varieties of food, most famous for their Chicago style pizza. Besides pizza, other options include appetizers, salads, calzones, oven baked sandwiches, and wraps. 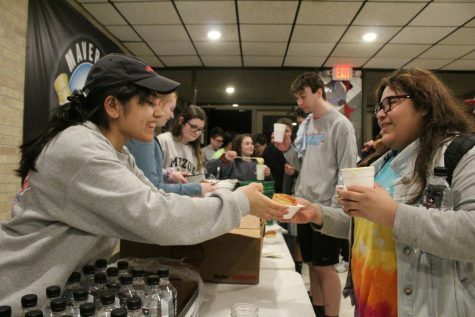 Pizza types offered include Margherita, Hawaiian, and Cheese pizza, while also offering unique options such as Buffalo Chicken, Cheeseburger, and Chicken Bacon Ranch pizza. Crust options include Chicago style and traditional. The Chicago style features a thin crust that extends a few inches above the actual pizza, giving it a thicker look. While not expensive, the food’s price is above average for a pizza restaurant. Appetizers and salads range from $4 to $11. Pizza ranges from $8 for the smallest to $23 for the largest, with the Chicago style crust being more expensive. If one desires cheaper or more expensive pizzas, the menu offers to create a custom pizza. Calzones range from $10 to $11 and oven baked sandwiches range from $5 to $10. Wraps all cost the same at $10. Similar to Buffalo Wild Wings, Gusano’s offers a sporty environment with large televisions showing sports games on each wall. A wall separates the bar from the rest of the restaurant, creating a more family friendly environment. The wait staff visits tables frequently, making sure no glass is left empty. Vegetarians can easily find options on the menu, such as the Herbivore Pizza, Cheese Pizza, Margherita Pizza, and a range of salads. Gusano’s has no vegan options. For a lower cost, the restaurant offers gluten-free pizza crusts.